Santrauka: 'Long ago in 1945 all the nice people in England were poor, allowing for exceptions' In the May of Teck Club - a London hostel 'three times window shattered since 1940 but never directly hit' - the young lady residents do their best to act as if the war never happened. They practice elocution, and jostle one another over suitors and a single Schiaparelli gown. But behind the girls' giddy literary and amorous peregrinations they hide some tragically painful secrets and wounds. 'You girls are my vocation . . . 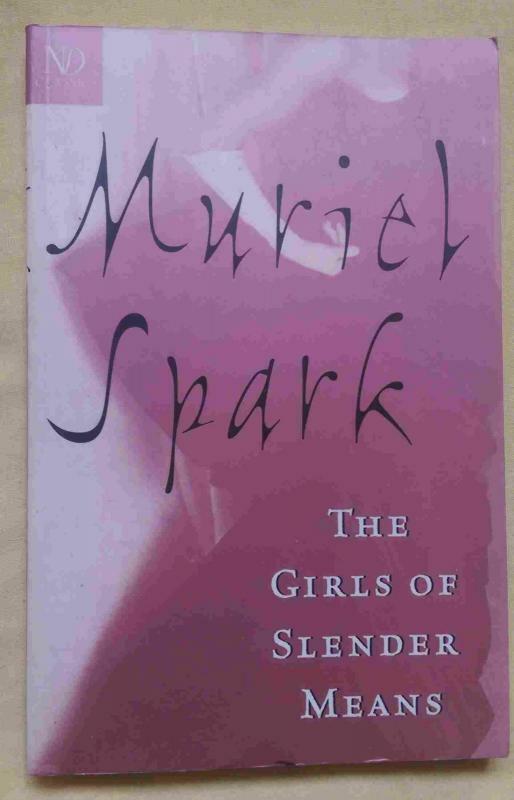 I am dedicated to you in my prime' 'Reading the novel as a young woman was a random gift; rereading it today is to encounter the rarest of fiction and to appreciate the early and enduring genius of Muriel Spark' Carol Shields, Guardian 'One of Spark's most evocative novels' Anne Taylor Muriel Spark was born and educated in Edinburgh. She was active in the field of creative writing since 1950, when she won a short-story writing competition in the Observer, and her many subsequent novels include Memento Mori (1959), The Ballad of Peckham Rye (1960), The Prime of Miss Jean Brodie (1961), The Girls of Slender Means (1963) and Aiding and Abetting (2000). She also wrote plays, poems, children's books and biographies. She became Dame Commander of the British Empire in 1993, and died in 2006.